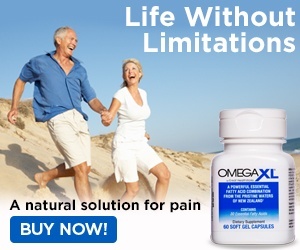 Next review Omega XL - What a relief! Nov 30, 2016 Our representatives are trained to offer alternatives to cancellation when a customer calls with that in mind. Of course, when these offers are declined, the agents are expected to follow the customer’s instructions. Your continuing shipments were cancelled at the time of your call, as you requested. We have issued a full refund of your last order to your Master Card account. We’re sorry to learn that our agent may have tried too hard to retain your account. On review of the audio record of the call, we find that he apologized at the time. The service professionals in our Customer Advocacy Group tried to reach you to see if there was something else they could do to help, but they have been unable to reach you. Called to stop the shipment of the product, and was kept on the line for over a half an hour. Sales person kept trying to get us to keep the product and keep using. All we wanted was a refund and cancellation. Very pushy, and didn't listen to us at all. Based on just that, we would not recommend any one to deal with this company. Heard there sales pitch too many times during the call. We just wanted to cancel the autoship. Very dis-satisfied with their customer service. And never an apology for there attitude either. A big thumbs down with them. I didn't like: Bad customer relation skills, Sales pitch numerous times during trying to cancel, Put on hold only to be brought back to another sales pitch. Review #962623 is a subjective opinion of lcpond.